It’s not just Prince Harry and Meghan Markle that represent the marriage between actor and royals. The marriage between these two classes has been a long time affair. Read on to discover more couples. Elia, an Albanian actress, and singer married the Crown Prince of Albania, Leka on 8th October, 2016 in Tirana. 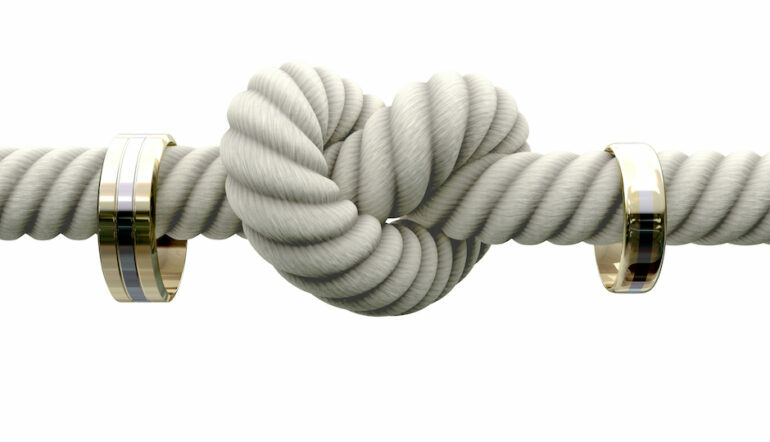 They were engaged for six years before they finally tied the knot. It’s not just Leka, even Elia’s family has royal roots. Elia presently heads the Queen Geraldine Foundation, created by the Royal court which is a humanitarian, charitable and non-profit organization. The foundation helps the Albanian families and children who need care. More than 100 representatives of monarch dynasties from many countries and diplomats from Middle East and Europe attended their wedding. Widely known for his role in American Sci-Fi action film, Starship Troopers, Casper Van Dien is married to Catherine Oxenberg, the daughter of Princess Elizabeth of Yugoslavia in 1999. Catherine holds common ancestry with the British Royal family on her mother side, and is 1375th in line to the throne of the United Kingdom. Catherine, also an actress, met Casper on a filming set. They later launched a reality TV show known as I Married a Princess. Unfortunately, they split up in 2015. 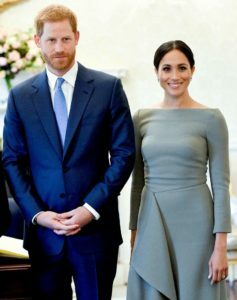 TV series Suits actress, Meghan Markel and Duke of Sussex, Prince Harry met in June 2016 on a blind date set up by their common friend. The actress was then visiting UK for some work. The date went so well, they ended up marrying each other after two years in 2018. Prince Harry is the youngest son of Princess Diana and Charles, Prince of Wales. He is the grandson of present Queen of United Kingdom, Elizabeth II. Aly Khan is Prince of Pakistan and son of Sultan Aga Khan III. 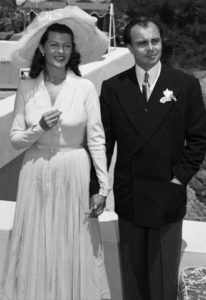 Rita Hayworth, an actress met Aly at the Cannes Film Festival and then they began dating each other. Aly is Rita’s third husband. Hollywood’s one of the famous stars, she had starred in movies like The Lady From Shanghai, Blood and Sand, Cover Girl and You’ll Never Get Rich. Khan divorced his other wife when Rita got pregnant with his child. 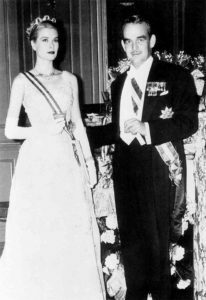 They both married in 1949 and had a daughter named Yasmin Aga Khan. In 1953, Rita divorced Aly since he was often having affairs with numerous other women. Tao Ruspoli is the son of Alessandro Ruspoli, an Italian aristocrat. Tao is an Italian-American filmmaker, photographer, and musician. He was married to Olivia, an actress from 2003 to 2011. Olivia was just 19 years old when she married Tao in an Old Italian castle. Tao and Olivia married on an abandoned school bus in Washington, Virginia with only a pair of witnesses. Since their marriage was a huge secret that time, the school bus was the only place they found privacy to marry. The Oscar award winning actress Grace Kelly married Prince of Monaco, Rainier III in April 1956. Grace met her Prince charming while filming the movie To Catch a Thief. She has starred in as many as eleven movies including Rear Window, Rear Window and To Catch a Thief. She also won Oscar for her movie The Country Girl and was a highest paying actress of her time. Grace left her acting career after her marriage. Grace and Rainier had three children. The actress had a stroke while driving a car, which eventually led to car accident and she died at the age of 52. Clotilde was a leading actress in 80s. She has starred in almost 41 movies. 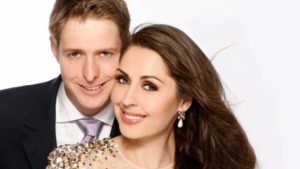 She married Prince of Venice, Emanuele Filiberto in 2003. The couple has two daughters. Emanuele’s family was embarrassed due to the absence of royal lineage from Clotilde’s side and her acting profession slightly irked them. But still the Prince married her and she has since been his faithful companion. Debuting in 1952, Gabor has since acted in many movies and TV series. Her husband Frédéric Prinz von Anhalt was an adopted son of the German Princess Marie-Auguste of Anhalt. Gabor has been married nine times. 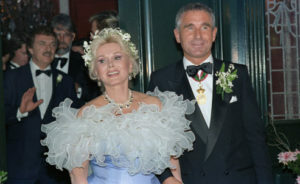 Frédéric Prinz von Anhalt and Gabor married in 1986 and the couple remained together until her death in 2016. She was 99 years old.